Like many traditionally male-dominated industries, aviation is waking up to the fact that it is missing out by not being more diverse. A worldwide skills shortage, especially in business aviation, coupled with the prospect of baby boomer pilots, mechanics and others retiring and taking their skills, knowledge and experience with them makes the need to cast the net for skills wider even more pressing. It is not as though women are new to aviation – they are among its pioneers. E. Lillian Todd, for example, designed and built aircraft in 1906 and Helen Richey became the first woman pilot for a US commercial airline in 1934. Astronaut Eileen Collins became the first female space shuttle commander at the end of the last century. Women work in most aspects of aviation today, but their numbers are small. The story on the ground is much the same. The FAA data reveals that, a year ago, there were 187,914 women in non-pilot roles in the US – 28.8% of the total. There were 6,536 female mechanics (2.3% of the total) and just one flight navigator (1.5% of the total). The data also reveals just how slowly the number of women working in aviation is growing. For example, the FAA says there were 14,643 female pilots in the US in 2012 (12.2% of the total); the number dropped to 14,405 in 2013 (12%) and again to 14,369 in 2014 (11.9%), then climbed to 14,580 in 2015 (11.9%) and 15,971 in 2016 (12.4%). The number of women taking non-pilot roles has also increased between 2012 and 2016, with the population increasing by less then 10,000 each year (representing a percentage increase of 6% over the period, from 22.8% to 28.8%). The International Aviation Women’s Association held the first meeting of its new general aviation leadership forum in Florida on 25 January, focussed on opportunities for growth within the sector and emphasising the need to attract, retain and promote women in aviation. We at Corporate Jet Investor hosted a networking event for women attending our London conference on Sunday (28 January). And that action is not only being taken by people within the industry — people outside it are identifying and acknowledging the issue. Last year, US senators Tammy Duckworth and Susan M. Collins co-sponsored a bill to create opportunities for women in aviation. The Promoting Women in the Aviation Workforce Act was read twice in the Senate on 18 December and referred to the Committee on Commerce, Science, and Transportation. Introducing the Act, Sen Collins said: “As chairman of the Senate Transportation Appropriations Subcommittee, I believe it is important to help women achieve their professional aspirations across all transportation sectors. Although women make up over 50% of our nation’s workforce, they are significantly under-represented in the aviation industry, representing only 2% of airline mechanics, 4% of flight engineers, 5% of repairmen, 6% of pilots, 18% of flight dispatchers, and 26% of air traffic controllers. “Our bill expresses the sense of Congress that the aviation industry should explore the possibility of offering opportunities, such as pilot training, STEM education, and mentorship programmes, which would help to encourage women to pursue aviation careers from a young age. “In addition, our bill would direct the Federal Aviation Administration to create and manage a Women in Aviation Advisory Board to hold the industry accountable for providing education, training, mentorship, outreach, and recruitment programs that are aimed at women. So what more could be done within the industry, including business aviation, to attract, retain and promote women? René Banglesdorf, VP of communications at the IAWA, thinks that the industry needs to market itself more effectively, to get girls and women to seriously consider it as a career option in the first place. She thinks it needs to present itself as a way to have a positive impact on the world, as well as being a satisfying, exciting career. Banglesdorf (pictured above), also co-founder and CEO of the Charlie Bravo Aviation brokerage, believes the problem is not so much that women face barriers and discrimination once they start working in aviation, but more that not enough of them even consider joining the industry. She also says that the industry should be diversifying even further, and working hard to attract, retain and promote people from groups such as millennials and ethnic minorities. She says lack of diversity is “a little bit worse” within business aviation than within the aviation industry as a whole, but the entire industry has not done “a good job” of educating or recruiting women and, to a lesser extent, millennials about the possibilities it offers as a career. “It’s not a problem of discrimination within the industry,” she says, while admitting that she has experienced “a little bit” of that type of behaviour during her career. “I don’t think it was unique to the industry and, once I proved myself, I didn’t have any issues at all. Those small numbers are, in part, due to a failure to capitalise on the wartime need for women to work in the domestic aviation industry while the men who had previously had those jobs went abroad to fight. “There were a lot of women who worked in the factories. Then, when the men came back from the war and took those jobs, their role was diminished. I think there was some sentiment of giving jobs to veterans. “We could have built on that momentum but it didn’t happen,” says Banglesdorf. One way to regain that momentum is to teach girls from a very young age that aviation is a viable career option — that the love of flying and aircraft they get from their dads can propel them into an exciting, fulfilling future. 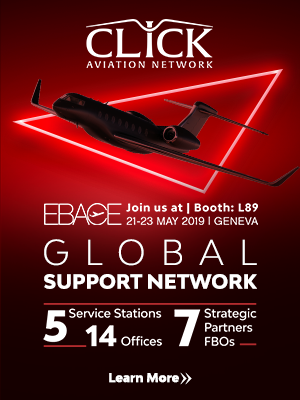 “Business aviation needs the innovative thinking and ideas both of women and of men, especially from Generation Y, if it is to stay at the forefront of technology”, says Banglesdorf. Young men and women have to be interested in aviation to enable potential disruptors such as vertical take-off and landing (VTOL) and autonomous aircraft to take the industry down new avenues of profitability. Some organisations are helping women to stay in aviation, however. Walmart, for example, has a schedule for its corporate jet pilots being on call and some commercial airlines allow pilots to split their time with each other. This kind of flexibility is something that the business aviation industry needs to consider introducing “sooner rather than later”, she says. “A lot of people are open to the idea [of more diversity]. There are very few who don’t think it’s a good idea. It’s time to start the conversation about how to attract more women and more millennials to an aviation career. 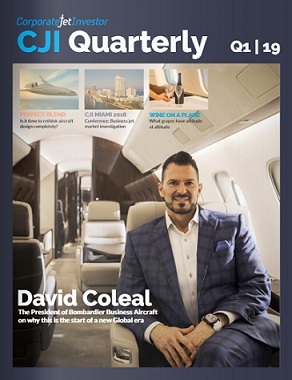 The fact is that the pilot population is ageing – which is true for mechanics and engineering, too – and I think that if business aviation doesn’t start actively engaging the entire potential workforce, it’s going to lose people to the airlines and other entities with much deeper pockets. 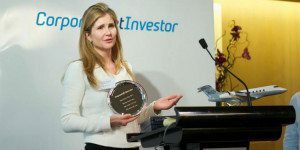 Kirsten Bartok Touw is managing partner at AirFinance. She says that, for women to succeed in business aviation, they face a familiar requirement to work harder, know more, and be more professional than their male colleagues to prove that they deserve their place: “I’ve been in a variety of roles within the industry and you have to know your product. You have to know as much as, or more than, everyone else because they’ll be expecting that you don’t. You need to know the product, you need to know how it works, you should have an area of expertise that you know incredibly well – that helps to close the gap. You’ll be much more effective as a leader if you know your product. Bartok Touw (pictured above at a Corporate Jet Investor conference in 2015), agrees with Banglesdorf that women must “absolutely” be made aware that “this is an industry for them” and that they should be helped to progress within aviation with the help of mentors “giving them advice in the background”. She says: “We have to advocate for each other and pay forward. I’ve been incredibly lucky to have worked with amazing women who have done nothing but help me out throughout my entire career. That’s made a real difference in terms of positive feelings and getting advice on how to deal with situations. 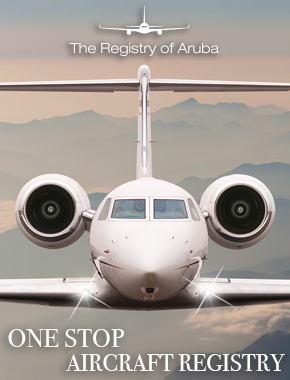 Business aviation needed the same diversity of approach, thought and management that was happening in other industries, to stay successful.